Can I be honest here for a second? The truth is that my husband and I don't get all hearts-and-flowers for Valentine's Day. Oh, we'll probably exchange silly cards. But no one's going to go out and buy a pink teddy bear stuffed with chocolates, or anything like that. Because when you've been married since dinosaurs roamed the earth, you don't really need some marketing company to tell you that it's time to be all smoochy. On the other hand, I might serve something silly, romantic, or sort of funny on a normal, average, random day. It's like that around here. The recipe starts off with corn tortillas. You can get all rustic and make your own, but you can buy decent corn tortillas these days, and you might even have locally-made tortillas nearby. By the way, I tried this with flour tortillas, and the corn ones worked out much better. And, many corn tortillas are gluten-free, so that's a plus. 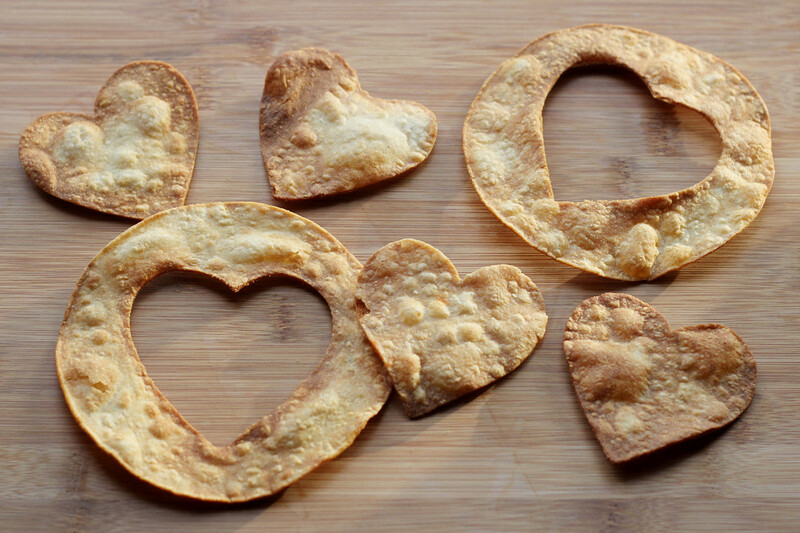 Once you've secured a supply of corn tortillas, you need a large heart-shaped cookie cutter or heart-shaped biscuit cutter. 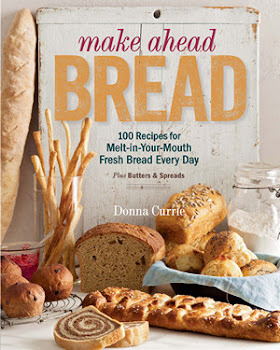 In a pinch, I guess you could free-form cut hearts out of the tortillas with a knife, but at this time of year, you'll probably find the cutters you need at the grocery store, in the aisle that's decorated in pink and red. Choose a pan to fry the tortillas to crisp them. Choose carefully, because it determines how much oil you'll use. You only need about 1/4 inch of oil in the bottom of the pan, so a larger pan will use more oil. On the other hand, a very large pan will allow you to fry more tortillas at once. So here's the deal. If you can't fit three tortillas in the pan without overlapping, you might as well use a smaller pan and fry them one at a time. Yes, it will take longer. But in theory, you're not making these for the whole neighborhood. Heat the oil in the pan until it's hot enough to fry the tortillas. How do you know? You dip the edge of a tortilla in the oil, and if it bubbles like mad, it's ready to fry. Meanwhile, use the heart-shaped cutter to cut a heart from the center of each tortilla you will use. Fry the tortillas and the heart cut-outs in the oil, flipping as needed, until they're golden brown and crisp. They will warp and get bubbles in them as they fry - that's fine. It makes each one unique. Let the fried tortilla drain on paper towels as they cool, to catch the grease that clings. You can make the chips well in advance - several days is fine. If you make them in advance, make extra. They're good for snacking. When you're ready to make the hearts, put a small pat of butter in the center of a frying pan and heat on medium. You want the butter to cover about the same diameter as the heart cutout, but it doesn't need to be exact. Dollop the marinara (or salsa) in a ring around the butter. This creates a barrier so the egg won't spread quite as far. Place one of the tortilla rings on top of your marinara so the buttered area is in the middle of the heart. 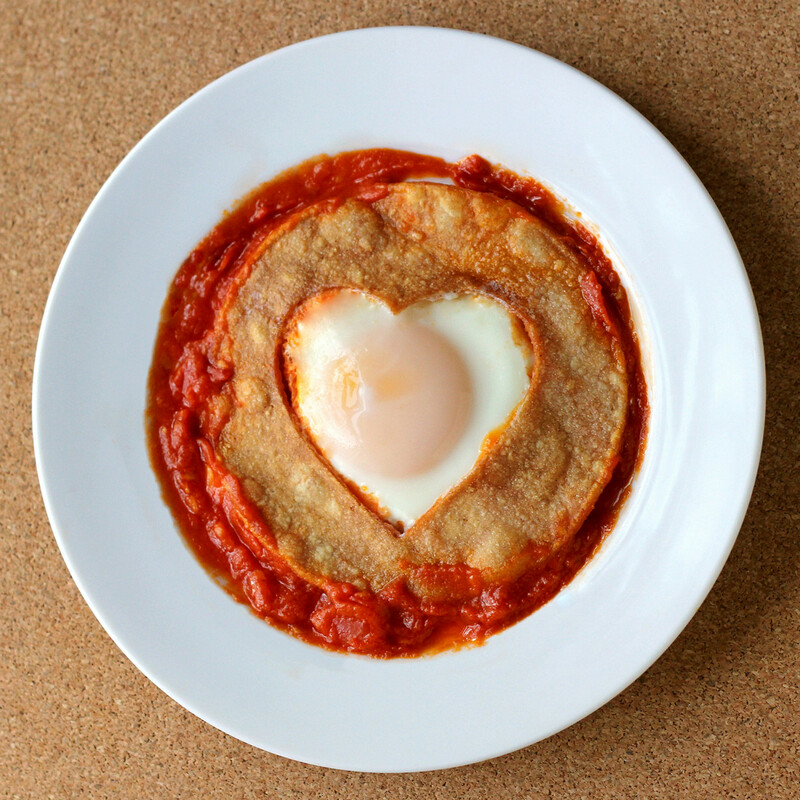 Break an egg into the heart-shaped hole in the center of the tortilla. Cover the pan and cook until the white of the egg is set and there's a white film covering the yolk. If you have a glass lid, you can watch the process, otherwise you'll need to peek occasionally, which slows down the cooking process as you lose the steam when you lift the lid. So don't keep peeking! The yolk will still be runny when that film has formed on the egg. If you like a firmer yolk, keep cooking until the egg is done to your liking. 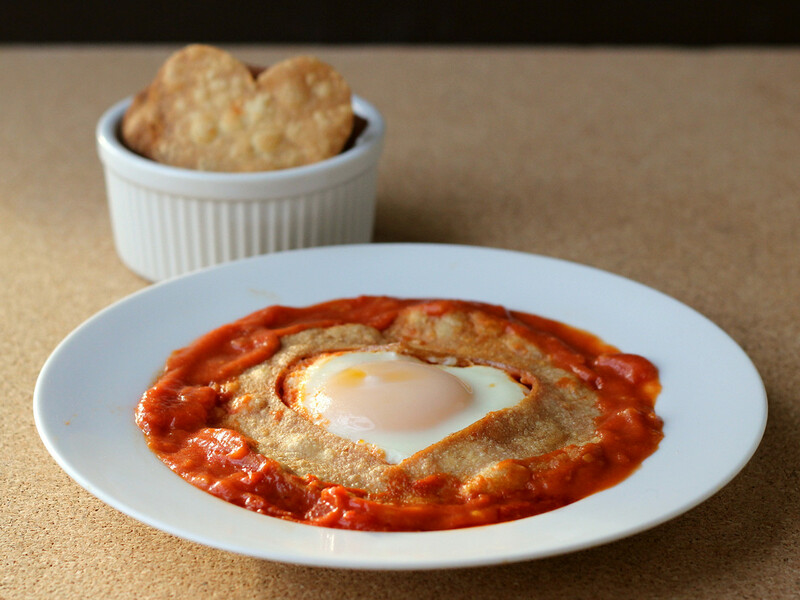 Use a large spatula to slide under the egg and tortilla and lift both at the same time, onto a plate. Add more sauce (or salsa) around the outside of the tortilla, if you prefer.